On Wednesday, Anabel Medina gave the list of Spain to be measured in Japan on World Cup Group 2 on February 9 and 10 in the Japanese city of Kitakyushu. 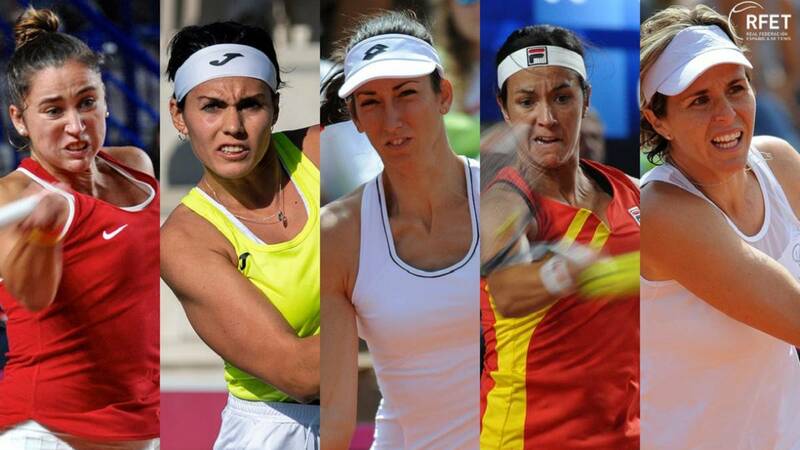 The captain of the Spanish Davis Cup team, Anabel Medina, announced that Sara Sorribes, Aliona Bolsova, Georgina Garcia, Silvia Soler and María José Martínez will form the Spanish team to play the Copa Federación tie. The two best Spanish players in the ranking World Cup, Garbiñe Muguruza (15) and Carla Suárez (25), will not contest this first round of the World Group 2, which will be held on February 9 and 10 in the city of Kitakyushu, on hard indoor track. fully aware of the complexity of the tie, we play away from home and we are going to find very complicated rivals in Japan. I take five players who are very excited to win, and I have a lot of faith and optimism in this team, "he explained. Medina in statements provided by the RFET. Sorribes will come to the appointment with his best personal ranking (77) to lead for the second time the national team, after doing it in his last participation in the 'play-off' of the World Group 2017 against France. The great novelty in the call is the return of the Girona Aliona Bolsova after his debut four years in Argentina, although playing only the doubles. The Catalan will also do so with her best ranking achieved this week (152) . In addition, the Barcelona Georgina García (165) faces her third consecutive call, while the veteran Silvia Soler (193) also returns to the team after one year. Complete the call María José Martínez, best Spanish dblista ranking (17) . It will be the third meeting between the two countries with a favorable balance for Spain. The most recent was in 2013, in the 'play-off' of promotion to the Group World 1 held in Barcelona. The previous one was held in Frankfurt in 1993. Now, the winner will qualify to play the 'play-off' of promotion to the World Group I.